Hide deals from seller "The Scentuary"
Hide deals from category "Aromatherapy"
Limit 1 per person. Valid on a 1-hour couple’s custom scent consultation. Includes 1/3-ounce of scent to take home. Valid on Tuesdays only. By appointment only; must schedule at least 48 hours in advance. New customers only. Promotional value expires 365 days after purchase. Create something unique when you use this deal for 50% off a couple’s aromatherapy session at The Scentuary in Chicago’s South Shore ($130 value). You and your significant other will get a 1-hour consultation with an aromatherapy coach where you will create a customized scent for your home or body. Robin, owner of The Scentuary, believes that scents have the power to help people reach health, happiness and wellness in a natural and holistic way. With more than 160 fragrances for custom blending, customers can create a moisturizer, body scrub, soap and oil in their own signature fragrance. The Scentuary’s variety of candles, incense and home scents can help customers create a calming retreat wherever they go. Savor your signature scent with this aromatic deal. 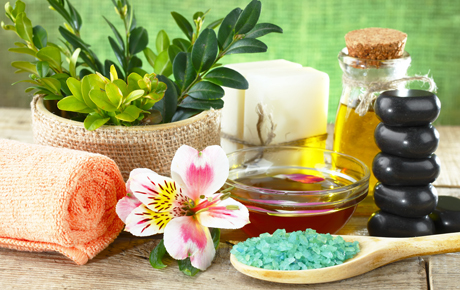 Aromatherapy shop in Chicago's South Shore offering bath products, oils and natural relaxation products.